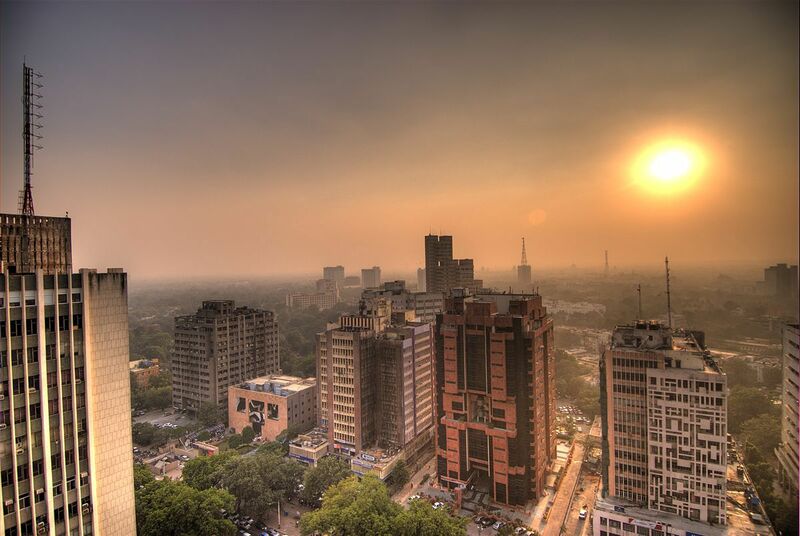 Delhi needs strong public policy responses to cope with the city’s growing pains. Delhi is predicted to have a population of 36 million people by 2030, and a big population will need big thinking from policymakers, write Asit K Biswas and Cecilia Tortajada. When India became independent in 1947, Delhi had a population of 0.7 million. By 1950, the population had doubled to about 1.4 million. By 1986, less than four decades after the country’s independence, it had increased 10-fold. By 2015, it had an estimated population of 18.6 million, making it the fifth most populated city in the world. The situation becomes even more dire if the urban agglomeration of Delhi is considered. In 2014, the United Nations estimated that Tokyo was the largest urban agglomeration of the world with 38 million inhabitants, followed by Delhi with 25 million. In other words, Tokyo had more than 50 per cent of Delhi’s population. From 2020, Tokyo’s population is expected to decline, but Delhi will continue its explosive growth. By 2030, Tokyo is estimated to be the home of 37 million, but Delhi’s rise is expected to be fast, to 36 million. In other words, during the next 16 years, Delhi’s population is expected to go up by 11 million. This increase, in only 16 years, would create a new complete megacity. The phenomenal growth in population in Delhi since 1947, accompanied by equally exponential increase in human activities, plus the fact that this growth has been poorly managed, have meant that Delhi is paying the economic, social and environment costs of its mismanagement and consistent bad planning. Provision of basic and essential services like health care, education, electricity, public transportation, water, wastewater collection and treatment, and solid wastes disposal have fallen far behind what is desirable, even minimally required, for a livable city. Take air pollution in Delhi. The city now has the dubious distinction of being the most polluted city in the world, and India is now home to 13 of 20 of the world’s most polluted cities. While the world was castigating Beijing for being the most polluted city of the world, Delhi had stealthily stolen the “crown”. The central and the state governments have not done their jobs for decades. Politicians and bureaucrats are too afraid to take the right decisions, even though they would significantly benefit the population of Delhi. During the post-1990 period, the air quality in Delhi was poor. However, neither the politicians nor the bureaucrats had the courage or vision to make hard decisions. In response to a writ petition filed by a public interest lawyer, M.C. Mehta, the Supreme Court of India gave a landmark judgement on 20 July 1998. Among its many requirements were that the number of buses should be increased to 10,000 by 1 April 2001, and the city bus fleet was to be converted to compressed natural gas. Not surprisingly, both the government and public sector dragged their feet to implement the order. On 26 March 2001, the Supreme Court noted that “due to lack of effective action taken by the private bus operators and also the government authorities” urban chaos may follow. On 4 April 2001, the Court was distressed to see reports in the media which indicated a “defiant attitude on the part of the Delhi Administration to comply with our orders”, which the Court deemed “wholly objectionable and not acceptable”. In fact, the Court basically issued a contempt notice on the government. There is no question there was an “attitude” problem with the Delhi Administration. Had the Court not taken a strong stand, the order would have been extensively diluted. The Supreme Court intervention very significantly improved the air quality of Delhi. However, instead of taking advantage of this improvement, and then formulating and implementing a long-term air quality management strategy, the authorities, both central and Delhi, consistently ignored the problem. Fast-forward a decade and air quality in Delhi had worsened because of the exponential increase in population and economic activities, especially traffic. As the number of middle class and educated people have grown significantly in Delhi and because of the communication and information revolution, people have become aware of the health costs of air pollution. Politicians and bureaucrats are now under tremendous pressure to improve the air quality. However, decades of inaction and neglect have meant that Delhi has run out of soft and easy options, and also time. An epidemiological study carried out by the Central Pollution Control Board and Chittaranjan National Cancer Institute of Kolkata on 11,628 children, from 36 Delhi schools, showed that every third child has impaired lung function. A 2010 study by the Boston Health Effect Institute estimated at least 3,000 annual premature deaths occur in Delhi due to air pollution. Even President Obama’s three-day visit to Delhi, in January 2015, was estimated to have reduced his life span by six hours because of inhaling the world’s most toxic air. Efforts like the recent license plate rationing system have attracted considerable media attention. This may divert public attention on air pollution temporarily, but by itself, it will not contribute to any perceptible long-term improvement in air quality. Delhi now has more vehicles than the three other Indian megacities, Chennai, Kolkata and Mumbai, put together. It is adding some 1,400 new vehicles to its roads every day. It is a safe bet that within the next few months, if the licence plate rationing system continues, there will be a thriving black market in licence plates. As it marches towards the unstoppable, most populous agglomeration of the world in about a decade, it needs many hard decisions, which the politicians are still loath to make. Unfortunately, Delhites will continue to pay serious health and environmental costs for the inactions of its past governments, and inadequate policy responses of its current and future governments, for at least the next decade. Asit K Biswas is the Distinguished Visiting Professor, Lee Kuan Yew School of Public Policy. National University of Singapore, Singapore; Cecilia Tortajada is a senior research fellow at the Institute of Water Policy, Lee Kuan Yew School of Public Policy, National University of Singapore.